Since 2009, cryptocurrency – a digital currency encrypted to regulate both the number of available units and the transfer of funds – has been a strategic alternative to the usual drawbacks of physical currency. Unlike the money we carry in our wallets and store in traditional bank accounts, cryptocurrencies operate independently of any central banking system. Of the cryptocurrencies that currently exist, bitcoin is the one with which most investors are aware. Although bitcoin is still in its infancy, sophisticated investors appreciate its well-known advantages, which include privacy of personal financial data, freedom of payment from any location in the world, low (if any) transactions costs, the public availability of the bitcoin chain to verify transactions and favorable taxation in the right circumstances. Another advantage, or perhaps a disadvantage depending on whether the issue is posed to an investor or entrepreneur seeking funding, is that all bitcoin transactions are irreversible. 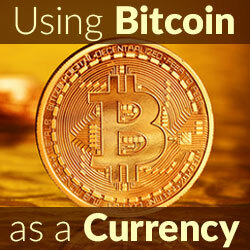 Bitcoins are impossible to revert because their ownership address changes with each subsequent transaction. Therefore, after the transaction is complete, the new owner, and only the new owner, has the private key for the received bitcoins. Going forward, only the new owner can change the ownership address, a process that removes all risk associated with the currency’s use. It also eliminates the possibility that a merchant can institute a chargeback of any transaction, as it could if physical currency, like the U.S. dollar, had been involved. If you hold the view that transaction finality is a disadvantage, or perhaps you need to overcome that view held by another, the solution is simple: suggest programming a multi-signature transaction into the bitcoin block chain. What this means is that at the outset of a particularly large transaction, the parties can mutually agree to include a neutral third party in the transaction. With three parties involved, the underlying transaction is completed, and bitcoins are irreversibly transferred, but only when two of the three parties agree. This builds an escrow process into the transaction at the will of the parties. Multi-signature transaction capabilities and associated dispute resolution procedures are a hidden advantage that may be overlooked by the basic notion that all bitcoin transactions are irreversible. Multi-signature transaction capabilities can be implemented into the bitcoin block chain without considerable effort. To be sure, the two parties to the transaction need only provide their public keys to each other. One of the parties, the programming party, then creates a P2SH multisig redeem script on the block chain. Afterwards, the programming party provides the redeem script to the other, who verifies that his or her public key has been programmed, as well as the public key of the desired neutral third party. The programming party sends bitcoins to the redeem script, where the other party is immediately able to verify the transaction on the block chain. The obvious question posed by a multi-signature transaction is what role the neutral third party plays when a dispute arises. Essentially, the third party is an arbitrator or mediator to the transaction. Upon dispute, the third party collects evidence from the parties and makes a decision as to what portion of the bitcoins, if any, should be transferred from the redeem script according to the parties’ initial agreement. It is important to note that another advantage of the multi-signature transaction process is that the parties are protected from both a decision that neither thinks is fair and the unlikely event that the third party will unilaterally transfer the bitcoins to their own digital wallets. Should the parties disagree with the third party, they can simply find a new party and implement a transaction that creates another multi-signature transaction redeem script that includes the public key of the new (fourth) party. Bitcoin and other cryptocurrency is still a relatively new phenomenon, and as with anything new, there is a healthy amount of skepticism surrounding its use to consummate large transactions. Nonetheless, entrepreneurs should be well-versed in both the advantages and disadvantages of bitcoin because sophisticated investors may demand its use. Conversely, a well-versed entrepreneur could convince an “on the fence investor” that bitcoin should be the currency of choice for the underlying investment by urging that multi-signature transaction capabilities will add the same level of security that investors enjoy with physical currency. While there are numerous apparent advantages of using bitcoins as venture capital, there are also hidden gems, such as multi-signature transaction capabilities with dispute resolution procedures that are not readily apparent. Structured properly, bitcoin transactions are more secure and transparent than their physical currency counterparts and their advantages, in comparison, should be given due consideration. 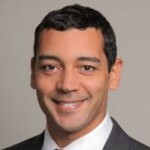 Coleman W. Watson is the managing partner of Watson LLP (Orlando, Fla). He counsels clients on matters related to cryptocurrency; patent, trademark and copyright licensing; intellectual property portfolio management; and litigation. Watson LLP has offices in Orlando, Atlanta, New York and Los Angeles. Watson may be reached at (407) 377-6634 or by email at coleman@watsonllp.com.